John Carpenter’s graphic novel horror anthology Tales for a HalloweeNight Volume 3 is coming this fall, and an official trailer was released online today. From Storm King Productions, the new collection will include 12 more twisted tales of terror, tricks, and treats. 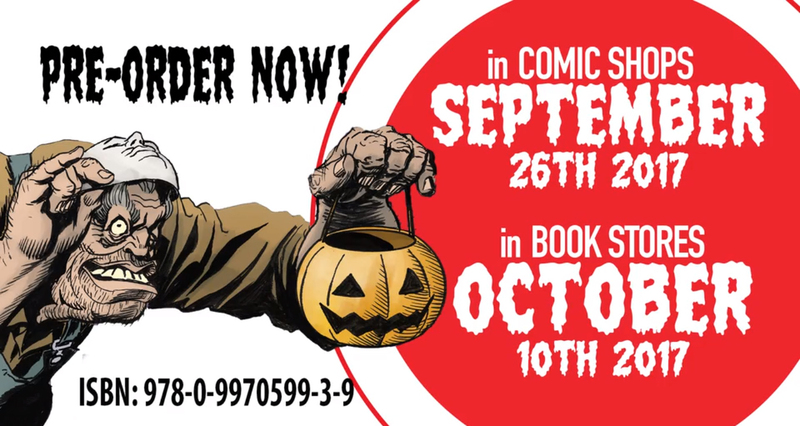 In volume 3 of the award-winning graphic novel series, Carpenter brings together another stellar ensemble of storytellers from the worlds of movies, novels and comics for another spine-tingling collection of stories that will haunt your dreams at night. John Carpenter’s Tales for a HalloweeNight Volume 3 be will arrive in comic shops on September 26 and bookstores on October 10. The TV adaptation coming to Syfy was also recently announced. Check out the trailer (which includes a few winks at Carpenter’s other Halloween franchise), as well as the official cover art by Tim Bradstreet and a preview panel by Richard P. Clark, for John Carpenter’s Tales for a HalloweeNight Volume 3 below! John Carpenter’s ‘Halloween’ Returns to Theaters!